This year marks the 15th anniversary of the Sony VAIO computer. Before 1996, Sony made all sorts of tech and chips, but the company's computer production was exclusive to its native Japan. In the late '90s however, Sony began making computers anew, this time on a more international scale; thus, the VAIO was born. An acronym for "Visual Audio Intelligent Organizer," the VAIO brand has been chaperone to a number of lasting innovations, the most notable of which is the memory stick. Now, 15 years later, VAIO is still going strong, and its fleet of sub-models enjoy immense interest from the average consumer. In an effort to guide your future appraisal of any deals on these systems that pique your interest, we've rounded up some expert reviews on the four VAIO lines. So, which Sony VAIO laptop is right for you? 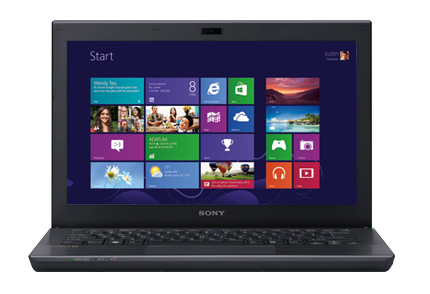 The Sony VAIO Duo 11 hit the scene in the final months of 2012 amidst a sea of Windows 8 convertibles, starting at $1199.99. Like its competitors, the VAIO Duo 11 blends the touchscreen capabilities of a tablet and the form factor of a laptop, all in a slim package. 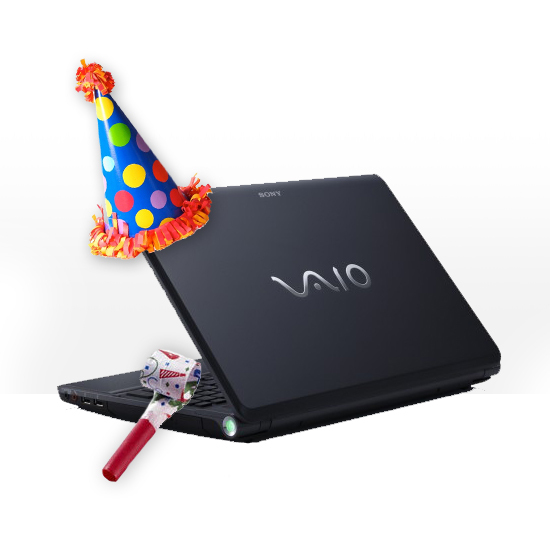 The 2.87-lb., 11.6" VAIO Duo 11 also packs a third-generation Ivy Bridge Intel Core processor of speeds ranging from 1.7Ghz to 3.10Ghz. To determine its place in the pack, the tech geeks at Engadget took the device for a spin. They found the construction to be "sturdy" in its magnesium-alloy housing, but despite the device's slider appeal, "generous selection of ports," (which PCWorld thinks appeals to power users and businesses), and list of "good specs," there were caveats; the keyboard felt "cramped," the battery life was disappointing (4 hours and 47 minutes), and the bulky design left something to be desired as far as tablet performance went. Overall, the Engadget crew alternatively suggests the Dell XPS 12 and Lenovo IdeaPad Yoga 13 for a streamlined hybrid tablet. 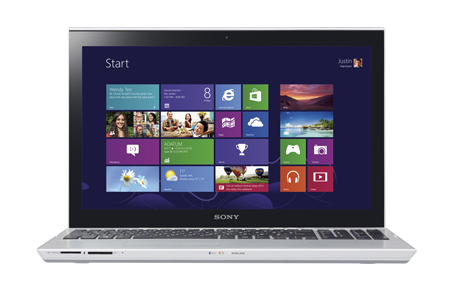 The Sony VAIO T series hit shelves in early 2012 and, given its ultrabook status, earned praise for its affordability and healthy number of ports and connectivity options. It's available in 13.3", 14", and 15.5" flavors (ranging in weight from 3.77 to 5.18 lbs), all of which make use of third-generation Ivy Bridge Intel Core processors and the Windows 8 OS. CNET found the Sony VAIO T to be a solid device that is more "ultrabook-as-budget-laptop" than "ultrabook as high-end computer." This is partially due to the fact that its screen is "not the best," and the keyboard is both "uncomfortable" and a "shallow non-backlit" solution. But the base configuration, priced at $699.99, is applauded as a competitor in the market against similar offerings. When compared to other ultrabooks with previous-generation Sandy Bridge processors, the Sony VAIO T shows an "improvement over the Samsung Series 4 Ultra, 15" Samsung Series 9, and the Toshiba Portege R835-P88." Also noted is the device's quick boot time, but the integrated Intel 4000 graphics chip is far from game-worthy. The Sony VAIO E is a full-fledged laptop that allows for work and play, without the physical constraints or limitations of an ultrabook or slider-style device. Boasting the same third-generation Ivy Bridge Intel Core processor options, the E series models are also available with up to a 17.3" display size (a hefty 7.05 lbs) and a discrete AMD graphics chip option, but basic setups start at just $449.99. Digital Trends gave the device 3.5 out of 5 stars, noting that the keyboard, CPU performance, and wealth of configuration options were quite nice. Yet a weak touchpad, short battery life, and pricey options are the E's shortcomings. Indeed there are similarly-configured laptops that can be priced more competitively, so if you're considering this model, make sure you're getting a superb deal before buying, and check out reviews for comparable alternatives. 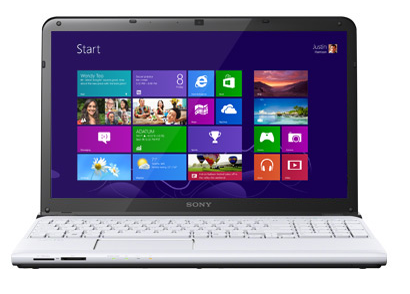 The Sony VAIO S series also received a 3.5 out of 5 stars from GadgetReview. It comes in 13.3" and 15.5" sizes (ranging from 3.69 to 4.42 lbs), the latter of which was reviewed by the site. That configuration also used a third-generation Intel i7-3623QM processor, which was deemed "peppy." The number of ports are commendable, as is the USB 3.0 charging features for mobile devices. The laptop runs Windows 8, but lamentably lacks a touchscreen to take advantage of the OS's cooler features. The trackpad also leaves something to be desired as it's "unresponsive at times." Gadget Review applauds Sony's Xperia link however, which allows Xperia mobile devices to connect to the S and share a single internet connection. Further, benchmarks revealed great performance for everyday use, although it's not a dedicated solution for gamers with the lower performing Nvidia 640M GPU. But with that in mind, the S series is a "very good" laptop. Ultimately though, a deep pocket is required for this one, with base models starting at $799.99 retail. Interesting in snagging one of the models above? 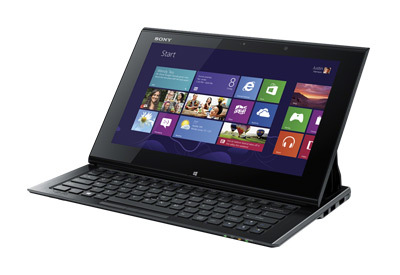 Check out our Sony VAIO laptop deals or set up an email alert for the configuration of your dreams.